/ How to Pick the BEST Cities and Neighborhoods in the U.S. in 60 Minutes Flat for Your Multifamily Real Estate Investments! How to Pick the BEST Cities and Neighborhoods in the U.S. in 60 Minutes Flat for Your Multifamily Real Estate Investments! How do multifamily experts consistently double investor money in 5 years? Well, their big secret is that they know how to pick the right city and the right neighborhood at the right time. And now, it’s time for you to learn how to do that for your investments. Acclaimed multifamily expert Neal Bawa’s Show-and-Tell workshop is a series of high-speed web demos that will convert anyone that follows the simple steps into an expert on ANY city or ANY neighborhood in the U.S., in just 60 minutes. to select cities and neighborhoods, in a graphical, simple-to-use way. All of this using free tools that anyone can access without a subscription. Thousands of students have been amazed by the elegance and simplicity of Neal’s city and neighborhood-picking method. When he is done, you will be able to pull up any city in the U.S. and confidently pick the fastest-growing portions of the city, point out the path of progress, and outline the zero-growth (and negative growth) areas of the city. You will be able to present charts and stats to your investors that prove to them that the investment is worthwhile. 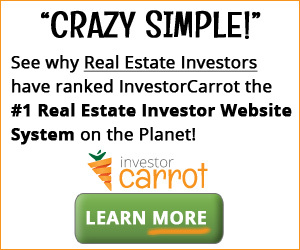 Join us for 60 minutes of the most eye-opening real estate learning of your life. What you need to do: Click on the video above to play it in your browser.